Welcome to March! I personally do not get excited for St. Patrick’s Day, but I do get excited for the Run to the Pub half marathon that precedes it. (And also my birthday.) This year the local race is not only giving us complimentary beer at the finish, which I don’t drink, but also a complimentary cupcake, which I am substantially more excited about. In any case, if you are not running a race that gives you “free” dessert afterwards, maybe whip up one of your own. 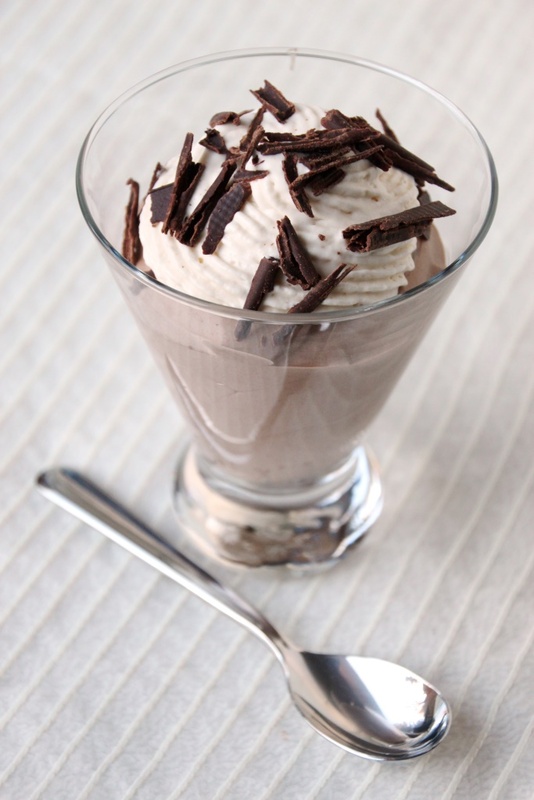 This Baileys chocolate mousse, emphasis on the Baileys, is an easy recipe and sure to please anyone that likes Baileys. And if you don’t like Baileys, I’m not totally sure why you’d be reading this post to begin with. Baileys and chocolate is one of my favorite combinations and most of the times I have dinner at Anthony’s in SeaTac airport I get the same thing: the salmon burger, no tomato, followed by a serving of their Baileys chocolate mousse. I have often thought I should learn how to make my own, despite how dangerous that might be for my health, since I don’t travel through SeaTac at nighttime much anymore. Luckily I will be at the end of the this month, and you can be certain I’ll be having my usual. My aunt and traveling running buddy also gets pretty psyched about the mousse situation at Anthony’s, and she’ll be coming to Montana for the Pub run this weekend. I’m guessing she might request I have a batch of this prepared. 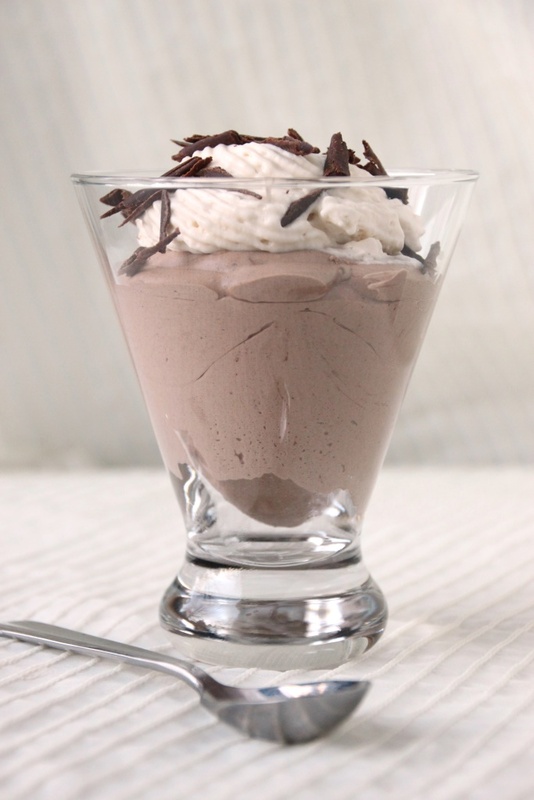 Light and creamy, like eating a Baileys cloud with some chocolate thrown in. I made the recipe twice so I could figure out my own personal preference as to the Baileys and chocolate ratio. The recipe can be made more kapow with the liqueur flavor than the chocolate, or altered slightly to make it more subtle. I’ll leave it up to you to decide. It is absolutely delicious both ways, just depends on what sort of experience you’re looking for this go around. I personally preferred the lower end of the range, but it was delicious with the more in-your-face flavor as well. This is a great recipe to bring to a potluck, because you can easily adjust the serving size down to “finger-food” portions, or keep it larger for a sit-down dinner where yours is the only dessert. 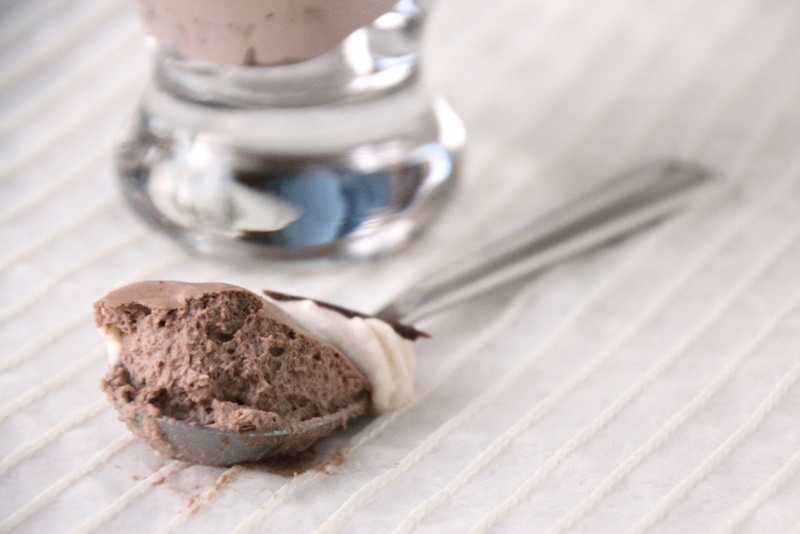 It would be super cute piped into shot glasses (bonus points if you make them out of chocolate) but works just as well for a more decadent serving size. 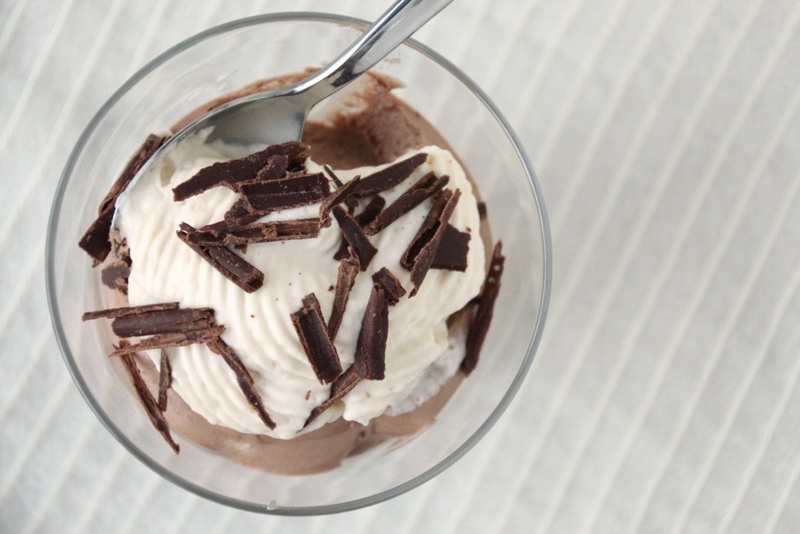 Top with homemade whipped cream and chocolate shavings for extra points. I can’t say this will become a regular in the recipe rotation, mainly because I’m trying to eat healthier, but as far as desserts go it’ll definitely be a top contender. Place the bowl for a stand mixer (or a large mixing bowl) and its whisk attachment (or beaters for a hand-held) in the freezer for 15 minutes. Place your serving containers in the fridge to chill while you prepare the mousse. Sprinkle powdered gelatin over the cold water, let stand one minute, then add boiling water. Meanwhile, retrieve the chilled mixer bowl and add cocoa powder, sugar, and whipping cream. Whip on high until stiff peaks form. Reduce mixer speed to “stir” (or stop it entirely) and add the Baileys and vanilla, then gently stir the gelatin mixture to make sure it’s completely dissolved and slowly pour it into the whipped cream. Whip on low until the liquid is mostly mixed in, then increase to high until medium peaks form. Spoon or pipe into your serving dishes, then return to the fridge to chill for one hour, or until ready to serve (it keeps in the fridge a few days, but the sooner the better). Optionally, make some chocolate curls or shavings: melt chocolate chips over a double boiler (or very carefully in the microwave), and then spread thinly onto parchment paper or a silicon baking mat. Allow to cool until no longer shiny, and then use a thin plastic utensil to gently scrape it into curls. If the chocolate just mushes together, it’s not cool enough yet, but you can put it in the fridge to speed the process. If it just breaks up a lot without curling at all, it’s too cold. 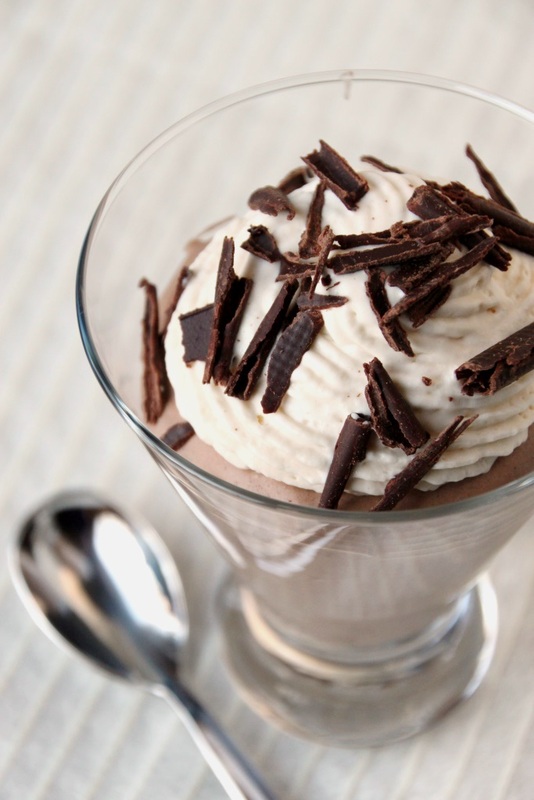 It’s a fine line, especially if your house is as chilly as mine, but personally I find chocolate shavings to be visually pleasing as well, so don’t worry about it too much. When you’ve curled or scraped all your chocolate, put it all into an airtight container and freeze for at least 15 minutes before handling. Shortly before serving, whip together remaining whipped cream, powdered sugar, and vanilla, until medium-stiff peaks form. Pipe or spoon onto your mousse. Optionally, top with your chocolate curls or other sprinkles. Serve immediately or return to the fridge for up to a couple of hours (the stiffer your whipped cream started, the longer it will keep).